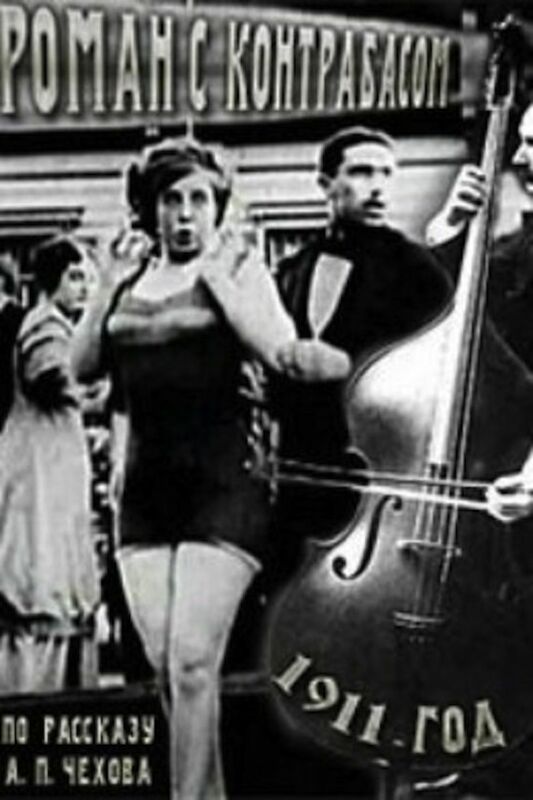 Romance with a Double Bass is a silent film short released in 1911. Directed by Kai Hanson, the film is based on a short story by Russian writer Anton Chekhov. The film was released seven years after his death, the time Chekhov thought people would stop reading his work. It is based on the story Roman s kontrabasom written in 1886. The film is the first film adaptation of Chekhovs writing, and has been preserved. Princess Bibulova decides to go fishing along the river, while not far away, a musician leaves his two companions to go for a swim. Soon afterwards, the princess also goes swimming. While neither swimmer is looking, two thieves lurking on the riverbank steal their clothes, leaving the musician and the princess in a puzzling and embarrassing situation.